we stock these recordings by Buzz Busby. Bernarr Busbice (Buzz Busby) was born on September 6th, 1933 in Eros, Louisiana.. Busby learned to play mandolin as a child by listening to Bill Monroe on the Grand Ole Opry and playing with his brothers in a local band. He relocated to Washington, DC, where he was briefly employed by the FBI but soon became involved with bluegrass musicians in the area. During the 50s, his band included Scotty Stoneman, Bill Emerson, Eddie Adcock, Jack Clement, Charlie Waller and Pete Pike, with whom he created a comic duo called Ham And Scram (the Country Gentlemen were a spin-off from one of Busby's groups). Buzz and Scott Stoneman played with Mac Wiseman from 1954-55. Busby had his own daily Hayloft Hoedown on WRC-TV. He and his group, the Bayou Boys, played in Washington, Boston, Shreveport on the Louisiana Hayride and Wheeling. He made recordings for Sheraton, Jiffy (gaining local success with "Me And The Jukebox"), Starday ("Going Home") and Rebel ("Mandolin Twist"). Unfortunately, a growing fondness for drugs and alcohol finally landed him with a six-month jail term in 1962. In the late 60s, he formed a band, with Leon Morris, that recorded for Rounder and Jessup Records, but any further progress was soon halted while he served another prison term. In the early 80s, he recorded for his brother's Webco label, being backed by the Johnson Mountain Boys, but ill-health saw him retire in 1984, apart from making a few appearances at important festivals and doing some recording. Buzz's fianl recording was in 1993 with the Patuxent Partnes (Patuxent CD-035), which is now out of print. A re-release is planned. 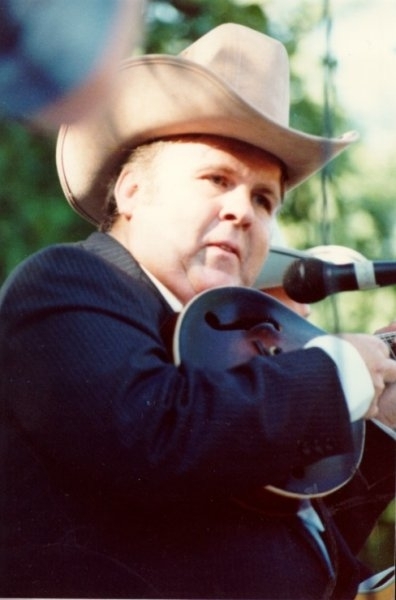 Buzz is considered to be the "father of D.C. bluegrass" by experts in bluegrass music. Buzz Busby died of heart failure in January, 2003.